You may think that the benefits of having, creating and running a blog for your business may not be worth all the effort. However, in the world of Google and online rankings, a blog could really transform your website and business. A blog can allow you to build an image of your business and giving any potential clients a view into what your business is all about. The most important benefit of having a blog is that it increases the traffic to your website which could transform into paying clients. If you want to be able to reach a large volume of people to transform them into clients, here are the five reasons that you need to create a blog for your business. You could either have a blog as an addition to your business website, or a blog as your business website with a content section. A blog can give you the space to show your expertise to any potential clients. When you are running a blog, you need to make sure that the content is informational rather than promotional. If the content you are putting up is ‘buy this, get this’ etc. about your own services, it will drive people away. A blog is a marketing tool to help you sell your business, but it should be a more subtle selling technique. Make sure that your content is well-researched information that your customers will find useful. This can help you can establish yourself as an expert in your field, helping the brand image of your business. The content you create on your blog can vary. Some of the ways you can show that you’re an expert in your field are; create relevant guides, provide news in the sector/field, have useful tips and answer any customer questions. A blog can help you boost traffic to your website. It can be difficult for a website without a blog to get organically ranked on Google, but creating a blog can help your rankings and in turn get traffic to your site. 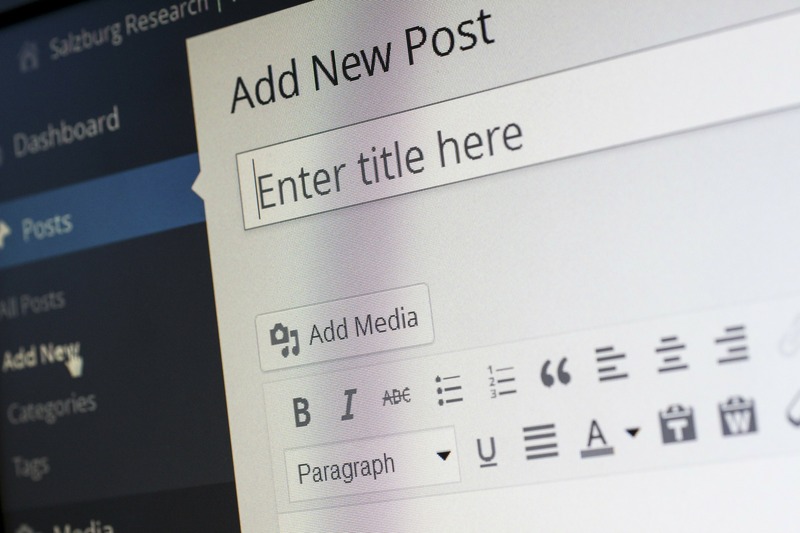 The Google algorithm and search engines love content, so a blog can help you create content that you can optimise to increase the traffic to your site. How this works is that; you create the content, you do the on-page and off-page SEO (Search Engine Optimisation) and then get people coming to your site for the information you are providing. If you don’t have any online presence, then you will be missing out on creating a relationship with your existing customers and any potential new customers. A blog can give you the space to create a section to introduce your business. For example, if you have a small business then you can create a section featuring staff bios to introduce the people behind your business. A blog can help you create the image of your brand and can make you come across as a trusted and reliable company because clients are more familiar with you and your company. The website traffic your blog will help you bring in can enrich the analytics your business is collecting. It will enable you to see what type of people are visiting your site and therefore the type of people you can target moving forward. Some people will come to your blog for the information and that’s it, they won’t necessarily be looking for your services. However, it will still give you an idea of the people that can be targeted in your marketing and advertising efforts. The analytical tools from your blog should therefore be utilised for this purpose. A blog can help you in huge ways with the marketing of your business. As mentioned, a blog in itself is a marketing tool that can be used to get traffic to your website. However, if you are providing an audience with content on a regular basis, you can also then share this on social media. If you’re a small business starting out then you probably won’t have much social media activity, but a blog can change that. Producing regular content can help you look active both on your website and on social media. As you can see, there are many reasons why it is worth investing your time and efforts into creating a blog for your business. It is also worth noting that you need to make sure that your blog name, business name and social media names all correlate. You can use this blog name generator for name ideas. More on small business marketing and getting on social media.